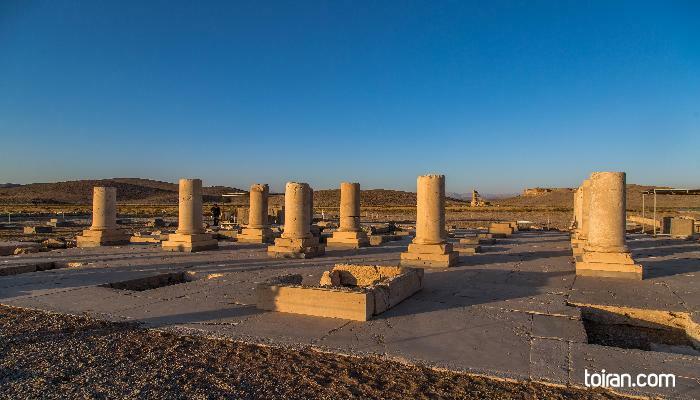 The ruins of Pasargadae, the first dynastical capital of the Achaemenid Empire (550-330 BC), lie northeast of Persepolis, in Fars Province. 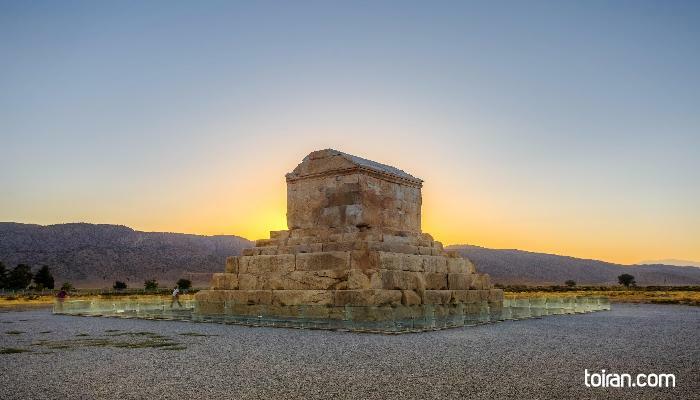 Pasargadae was the capital and holds the tomb of Cyrus the Great (576-530 BC), who is best remembered for his unprecedented tolerance and magnanimous attitude towards the nations he conquered and for drawing up the first Charter of Human Rights known to man. 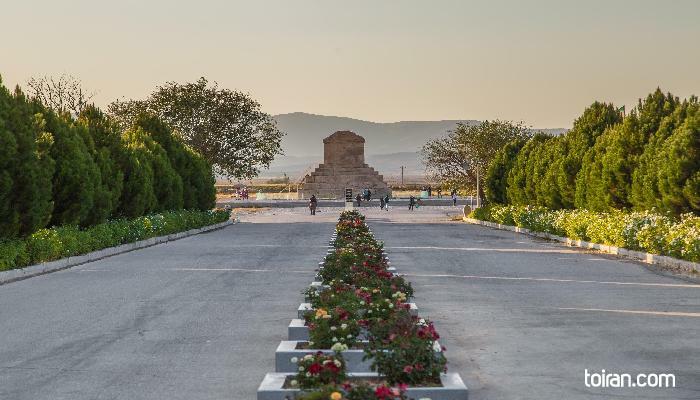 It is said that Cyrus chose the location of his capital as it was near the battlefield on which he defeated Astyages (reign 585-550 BCE), the last Median ruler. 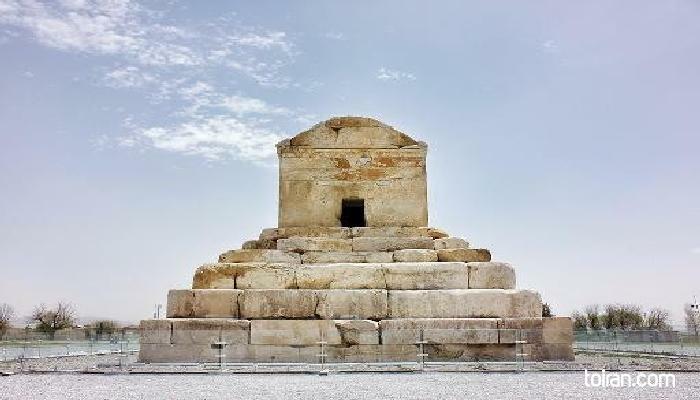 What remains of the palace of Cyrus the Great contains a pillar with a unique 'winged figure' relief which is believed to be a representation of Cyrus. The figure is seen in Elamite robes, wearing an Egyptian crown and with Assyrian wings—all subject nations of the Achaemenids. 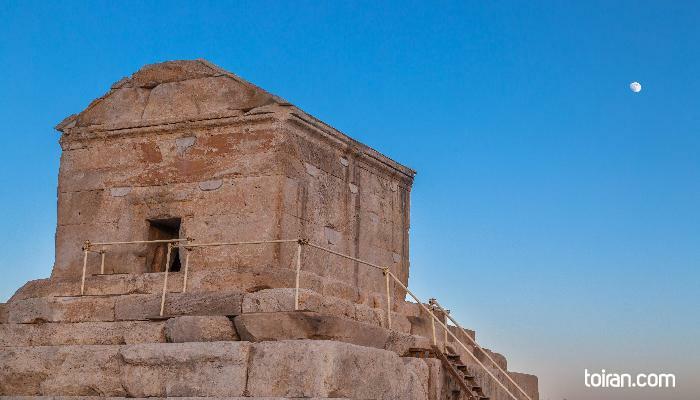 On a hill on the northern limit of Pasargadae stands a fortified terrace platform made of limestone known as Tall-e Takht. As customary of Achaemenid architecture the anathyrosis method (the ancient technique used to dress the joints without the use of mortar) was used to join the stone blocks used in the construction of this structure. While the palaces of Pasargadae were abandoned over time, Tall-e Takht continued to be used as a fort in later times. 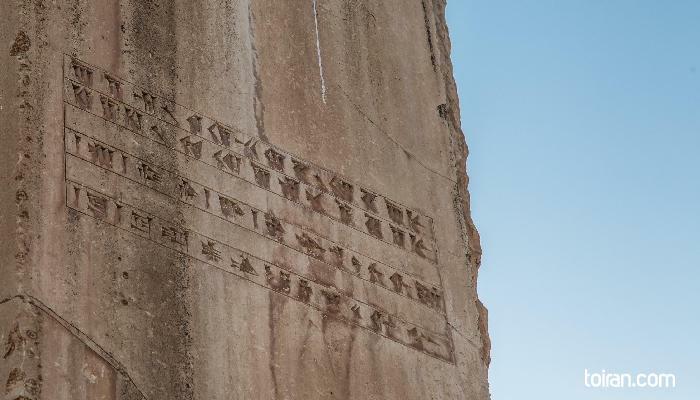 The tomb of Cyrus, which is one of the most prominent structures of Pasargadae, has a design similar to Mesopotamian ziggurats. 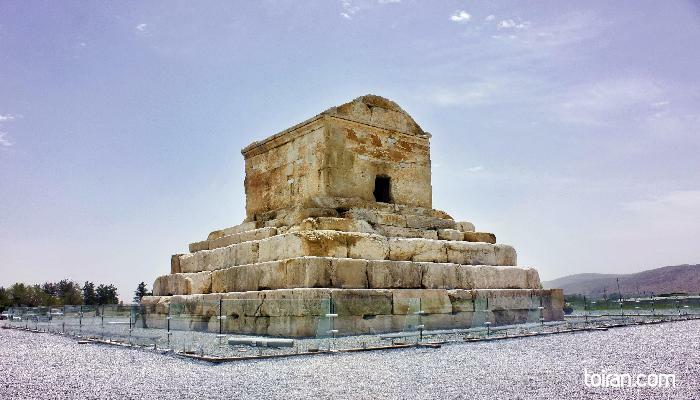 The limestone structure has six steps leading to the sepulcher where it is believed that the body of the Achaemenid king was placed on a golden bed. 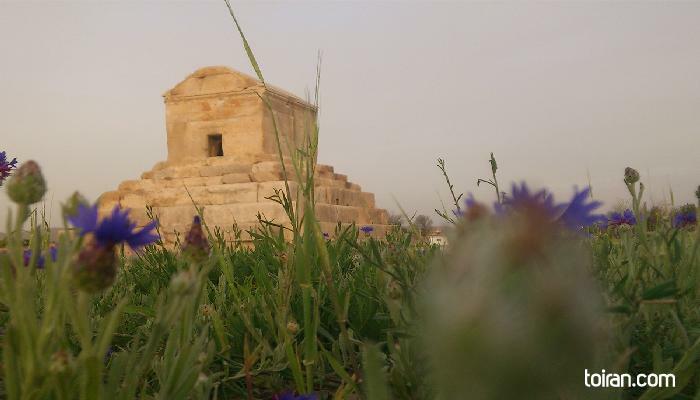 It is said that during the Attack of Alexander (356-323 BC), Cyrus’ Tomb was raided and its riches were plundered. 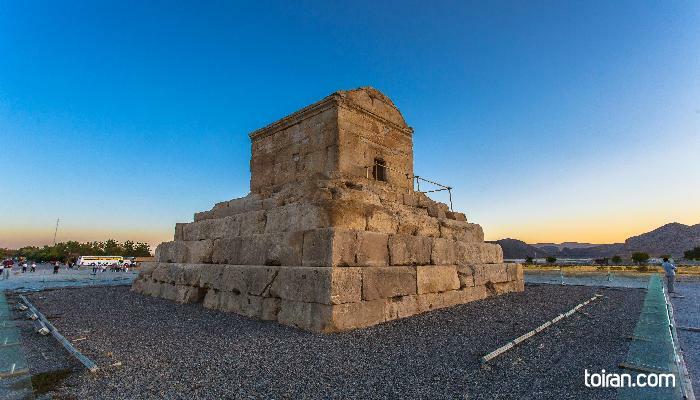 Until 100 years ago it was believed that the tomb of Cyrus belonged to Prophet Solomon’s mother. The tomb was a pilgrimage place and a mosque was built around it, which was in use until the 14th century. The remains of the mosque were cleared from the site in the 1970s when the tomb of Cyrus was restored. 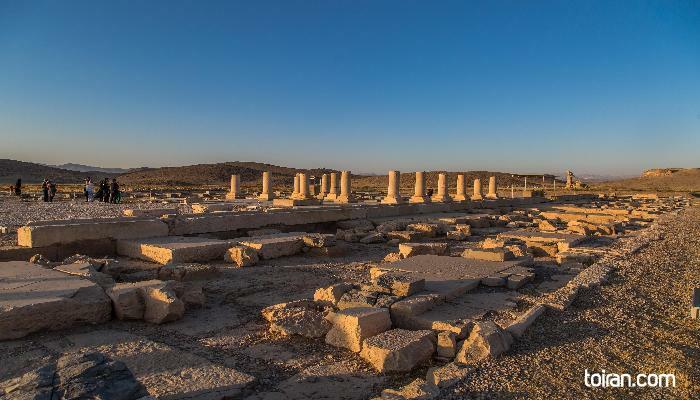 Recent archaeological studies have found that Achaemenid engineers constructed the city to withstand massive earthquakes. Pasargadae is a UNESCO World Heritage Site. Final resting place of Cyrus the great, founder of Persian empire that ruled the world for so many years. Interesting fact is that with all the glory he had his tomb was designed in a simple plan which shows how down to earth he was.